Synopsis: A warm-hearted, humorous, family saga where traditions are challenged as three sisters embark on a journey of self-discovery in the quest for happiness and love. 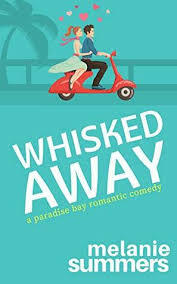 Georgina Andreou is at a crossroad in her life; professionally she is successful, but her personal life is unfulfilled and lacking. As the family descend to celebrate her thirtieth birthday, Georgina finds it a struggle to wear the cloak of I'm-doing-just-fine. Still at home with her parents and siblings she is torn between the traditional Greek values she has been raised with and a more liberated, adventurous future. The time has finally come for Georgina to make some serious changes, if she is to lead the life she wants to lead as opposed to the life she is expected to lead. An encounter with Jake O'Sullivan finds her ready to take a chance on romance, but will she stumble at the first obstacle? Georgina is not the only sibling in the Andreou household having to take stock of her life; Katherina is forced to face a secret she has kept buried for many years as feelings emerge for a new colleague, despite her resolve to make a go of a relationship with a suitor introduced by the family. Meanwhile, Sophia, the youngest of the sisters, and the most rebellious, discovers a new spiritual direction in her life. Author Interview: I am thrilled to talk to with author Maria Constantine! Maria Constantine was born and raised in Muswell Hill, North London, and currently lives in Southgate, Barnet. Her parents emigrated to the UK from Cyprus in the 1960s. Maria has fulfilled her life-long ambition to write; she’s a true example of a modern author-entrepreneur, having studied proofreading and editing at her local college. Maria is a keen cook and shares some of her many authentic Greek recipes, which have been passed down to her by her mother, both in the novel and on her website. She is currently working on a sequel. Did you write My Big Greek Family from experience? The characters and events in My Big Greek Family are fictional, but I did draw on my Greek-Cypriot origins for inspiration. I have been really lucky to have travelled to Greece. Can I assume you have been before? What is your place? I have been on holiday to mainland Greece and to some of the islands. My first visit was to Athens and Zakynthos. Over the years I have travelled to northern Greece, Skiathos, Skopolos and Mykonos. I coincided a holiday to Greece with making notes for some of the chapters in My Big Greek Family and on another occasion I visited the Acropolis with the knowledge that I was taking two of my characters with me. It was a wonderful experience to find quiet spots to scribble away in my notebook as I pictured my characters, Georgina and Sophia, exploring the ancient site. What is your favorite Greek food? I love eating mezethes, where one dish is followed by another and you spend hours enjoying a meal with family and friends. What is your favorite Greek drink? I enjoy a glass of ouzo after mezethes, a frappe at the beach and tea brewed with cinnamon and cloves in the winter. What is your favorite thing to do in Greece? I love swimming in the sea, particularly when the mountains and forests form the backdrop. My study, overlooking the garden – but facing the window can be distracting as I often stare up at the sky daydreaming. I try and get my writing done during the day when the house is quiet and I can focus on my work, but I do have to alter the routine during school holidays. It is difficult to pick because over the years I have enjoyed reading so many books. Jane Austen has always remained a firm favourite, as has Roald Dahl, particularly his collection of short stories. John Grisham’s books had me hooked for years and I am also a big fan of Marian Keyes. Yes, definitely. I don’t find it distracting at all. What are you currently reading. Love Letters by Katie Fforde – it was recommended by a friend and Laura, the protagonist, is a character the reader is drawn to follow as she grows in confidence and comes out of her shell. 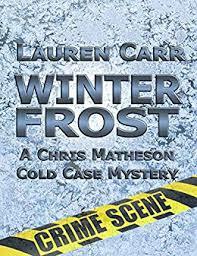 I read a lot of women’s fiction and sometimes mystery/crime. Red in the winter, particularly at Christmas time, yellow in spring and white, pink and sky blue in the summer. Food has always been a big part of family life; my mum is a great cook and I enjoy cooking too. I don’t have a favourite dish, but I do have a penchant for deserts and cannot resist a crème brûllée. I would have to say dogs. But our guinea pigs, Paws and Rocky, are very special too: they are intelligent, inquisitive and very healthy eaters – they eat all their greens! In the summer a pedicure and any other time of year, probably a manicure. Flake ice creams have been a favourite from childhood. I’m a real film buff and grew up watching all the classics. I love watching movies and going to the cinema. I would choose the ocean unless it was an area where there had been shark sightings – then I would go for the pool! Tea to relax, coffee to wake up and work. In the summer – fruits; I love peaches, watermelon and berries. In the winter I would go for candy. Both, but I tend to prefer eBooks when I am travelling. Definitely computer; I’ve recently started using a smart phone. Flying, if I am in a rush to reach my destination, or if it is too far to drive, otherwise I enjoy driving. I find the change in landscape fascinating as we drive from one European country to another – I just have to remember which language is spoken when we stop off for a break. Connect: You can connect with Maria online at her website, Facebook, Twitter and Goodreads. 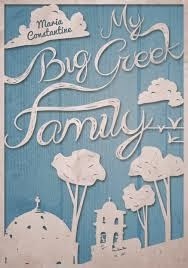 Purchase: You can purchase My Big Greek Family online at Amazon for $2.99! Fantastic deal!